When you have a quality home theater design, the experience is indeed like no other. Once the lights go down and the picture comes on, you are transported for the time being. If you are looking for high end audio & video equipment installation and repair services in Tacoma, only working with the best will do. 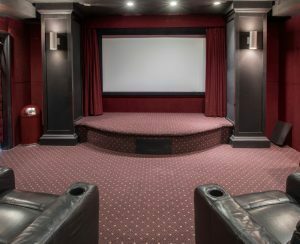 Do you have ideas on a home theater set up in your home or do you already have a room in place? Whether you have a large flat panel television or a projector system, it is all about the manner in which the desired space is put together that will give you the quality results. Additionally, you could have the best visuals, but if your sound is not up to par, you will not have the ultimate home theater experience that you want. It is only natural to think about cost when you are putting in a home theater system. However, you need to remember that the higher end audio and visuals are going to be a big ticket item. When working with such equipment in your home, you need professional installation so that everything is done beautifully from the beginning. Home Entertainment Solutions is in the business of putting together incredible A/V for homes, offices, and retail locations. What does this mean for you? It means that you are hiring a team that is genuinely passionate about high-end audio and video. We work hard to bring you the best so that we create lifelong customers who come back to us time and again for upgrades and renovations. With a simple phone call, we can come out to your home or place of business to discuss your ideal theater setup or presentation space. Home Entertainment Solutions specializes in high end audio & video equipment installation and repair services in Tacoma. Call (844) 437-4621 for a consultation.